Since I no longer do journal style blog posts anymore, I thought it might be interesting to show what I am doing in the fitness realm these days. I am enjoying exercise again, but just like with anything, variety is the spice of life. And I like things extra spicy! So I’ve been mixing it up a bit. First, these guys have been seeing there fair share of pavement. 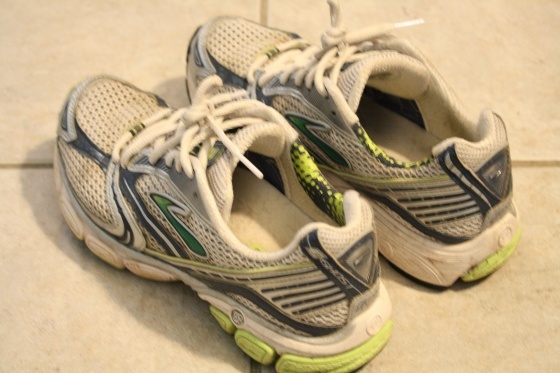 However, I did run a marathon in these Brooks, so maybe it’s time I looked into a new pair. The most I’ve worked up to at this point is just over five miles. I’ve enjoyed running with friends like Nicole and plan to run with Andrea this Saturday. I’ve also reunited with my running group for Thursday night runs. They really push me to push my own speed limits. They are just so gosh darn fast. Running with other people has to go to be one of my favorite ways to work out so I’m looking forward to finding several running buddies. What could be better than running while gabbing? Yep, she’s back in my life. I love Jillian Michael’s workouts! The 30 Day Shred is just so quick and easy convenient. I’m always a sweaty mess at the end, whether I do level 1 or level 3. And I still love No More Trouble Zones, but unfortunately, my DVD player does not love the scratches on it. It might be time to think about getting one of her new videos. I find working out with J- girls to be incredibly effective, so besides Jillian, I’ve also done a circuit with Jenn in the past week. 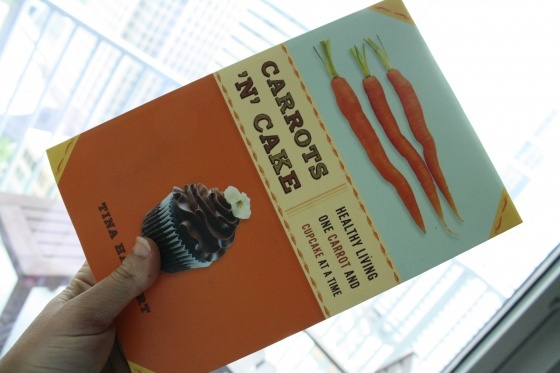 I just finished Carrots N’ Cake, which I LOVED. I think I love Tina even more now, after reading her book. In the book, she provides a 45 minute full body strength training workout. Jenn and I took this workout and did three rounds of it, but also added five minutes of cardio at the beginning and between each circuit. Strength training has such a positive effect on me. I’m trying to get it in at least a few times a week. 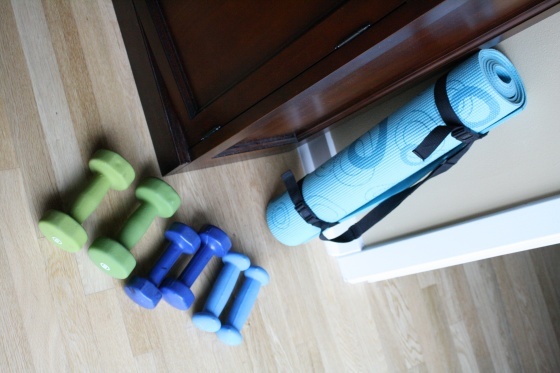 It doesn’t hurt that I have my own little gym at home. You can pretty much do anything with 3’s, 5’s, 8’s and a yoga mat. Other fitness highlights from last week include walking with Brittney and zumba-ing with Diana. Clearly, I really enjoy working out in a social setting. Do you prefer to work out solo or with a friend or group? I personally, could work out everyday with a friend. It makes the time fly by!